How to conduct a seance. Attempting to receive messages from the other side is nearly irresistible. Increase your chances of making a connection with these tips. You will need three candles, a food offering, a round table, a medium, a spirit to summon, and three or more participants. Step 1 set the mood by dimming the lights and turning off any electronic devices like the TV or stereo. Light the candles and set the food offering out on the table. Step 2 select a person to act as the medium to lead the seance. They should have seance experience or psychic ability. Then decide on the spirit you wish to summon. 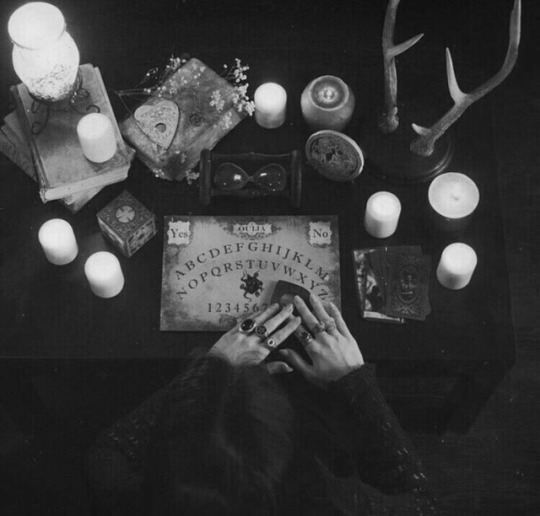 The spirit may be a departed relative or loved one or any deceased person you wish to connect with. Step 3 gather everyone around the table and have them hold hands to form an unbroken connection throughout the ceremony. Step 4 chant in unison to summon the spirit of your dearly departed. The exact words are up to you. Step 5 wait for a response from the spirit. If the medium indicated for the spirit to tap in response listen for it. Repeat the chant until a response is made clear. Step 6 ask the spirit questions and indicate you would like the response of one tap for no and two for yes. The spirit may also speak through the medium in which case you may ask anything you like. Step 7 finish the seance when all questions have been asked thank the spirit for appearing and tell them to go in peace. Blow out the candles and turn on the lights. 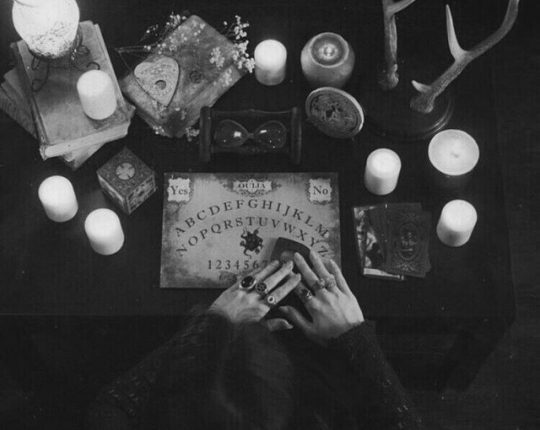 Did you know the word seance comes from the French word for sit or assemble?